Aristotle Cloud Federation model resources will be increased each year of the 5-year grant. Federated resources at Cornell, University at Buffalo and UC Santa Barbara are detailed below. 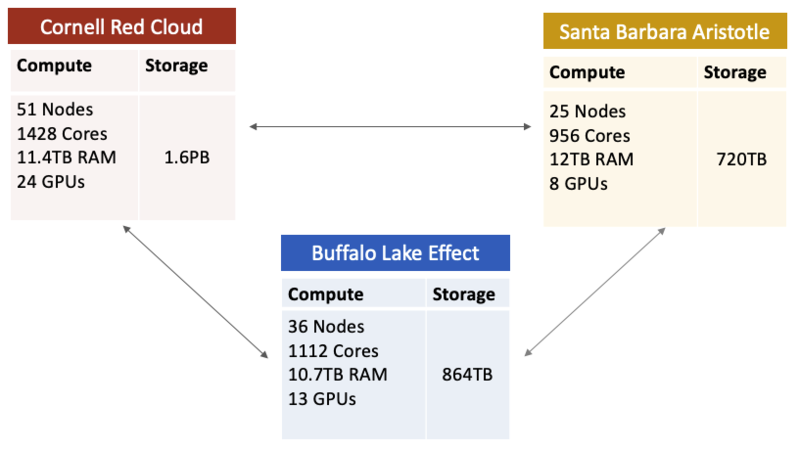 The Aristotle Cloud Federation is supported by NSF grant ACI-1541215 and the Cornell University CAC in partnership with the University at Buffalo CCR and the University of California, Santa Barbara Department of Computer Science.